The position of Gor Mahia coach appears attractive to some top coaches even despite the financial instability at the club. 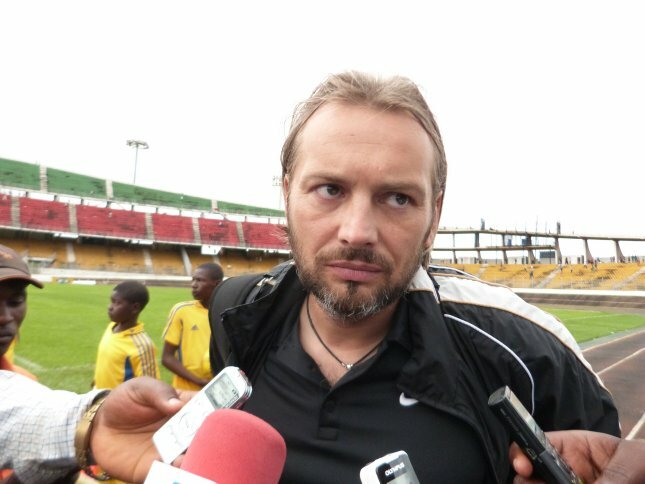 According to a report by goal.com, former Gor Mahia coach and fan favourite Zdravko Logarusic is foremost among those who have applied for the job. Logarusic sees it as unfinished business after he left the club in June of last year. Former Esperance coach Sebastian Desabre is another top name who has applied for the job according to goal. The Frenchman Desabre is youthful at 38 but his record is stellar. Under him, Esperance won the Tunisian league. Thats not saying much considering how dominant Esperance is in Tunisia. But prior to Esperance, he coached Coton Sport Garoua of Cameroon whom he led to the Camerounian league title. He also coached the Camerounian side through the group stages of the Champions league to the semi-finals where they lost to Al Ahly of Egypt only on away goals rule. Between 2010 and 2012 he was coach at Asec Mimosas of the Ivory Coast. There he led them to win the Coupe de cote d’ivoire in 2012 and the Coupe Houpouet Boigny in 2012. He also led them to the quarter finals of the CAF cup. He has no experience in any Anglophone nation so it is not clear how good his English is. Eritrea national team coach Dorian Marinn has also applied for the job according to goal.com. The 54 year old Romanian is still listed as coach of King Faisal Babes in Kumasi, Ghana where he has coached since January 2014. 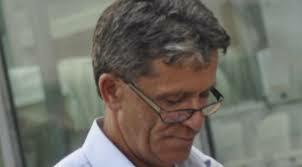 His coaching career has also taken him to Tishreen of Syria and Uganda Revenue authority. A glance at Marinn’s curriculum vitae does not show any notable achievements and King Faisal are currently 14th out of 16 teams in the Ghanaian league and are staring at relegation. However Some Kenyans might remember him as the coach under whom Eritrea beat Kenya twice during qualifications for the 2008 Africa nations cup. At the time, Frenchman Bernard Lama was Harambee stars coach. Among the local coaches who have applied to take up the position include former AFC Leopards coach Jan Koops, Bidco United coach Alfred Imonje and former Nairobi City Stars coach Tim Bryett. None of these have notable achievements either. There is no word on whether former coaches Sammy Omollo or Zedekiah Otieno have applied. Club secretary general has indicated that the club expects more applicants to send their CVs. “More applications are still coming. We have constituted an interviewing panel which will look at all those applicants and narrow it down to five before we pick the most suitable candidate,” he told goal.com. What is also not clear is whether the club has the financial wherewithal. 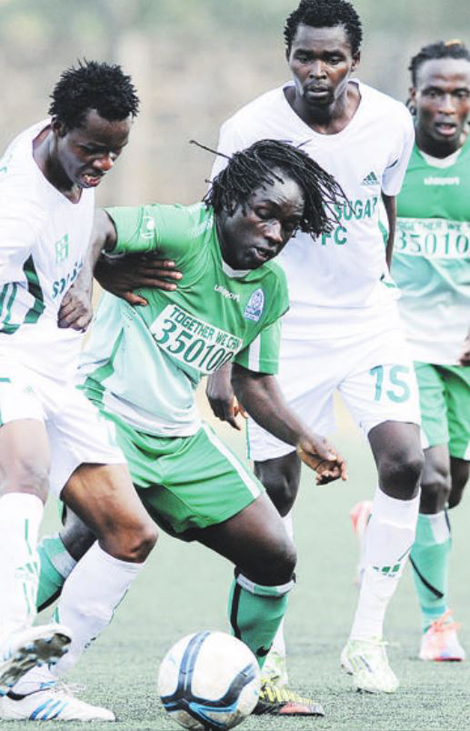 KCB have overtaken Nairobi City Stars on the Kenyan Premier League [KPL] standings after holding Gor Mahia to a barren draw in their Thursday afternoon encounter at the Nyayo National Stadium. It was an end to end game as both sides enjoyed control of the match and possession at various points of it in both the first and the second half respectively. Gor Mahia started as the better side though with Timothy Otieno heading wide from close range from a Godfrey Walusimbi corner in the second minute. David Calabar Owino then launched a quick break but Samuel Mwangi was quick to react and intercept the counter, Musa Mohammed however relaunched the attack on the right but the resultant shot went wide. KCB then attacked for their first chance in the 10th minute but John Odhiambo’s cross to Benjamin Chaka was headed off the mark. Walusimbi then blew his corner off the mark in the 15th minute. Daniel Onyango then looped the ball to Timothy Otieno but the former Talanta forward lost footing in attack. Kiongera then capitalized on the blunder and attacked for KCB’s first real threat but his cross towards goal could not reach Raymond Murugi in time. Timothy Otieno then wasted two glorious chances towards the halftime mark with only the keeper to beat after Sserunkuma had done all the donkey work. He was nearly punished after Musana’s cross found Paul Kiongera who combined well with Benjamin Chaka but the resultant shot went wide. The introduction of Simon Mburu early in the second half for Blackberry Odhiambo seemed to have worked as Gor won more ball in the midfield and attacked with more vigour. Kizito’s attempt to find Timothy Otieno was fruitless in the 50th minute as the ball was headed away by Kevin Omondi. Kiongera then launched the first counter attack for KCB in the second half but Jerim was quick to react from the resultant one on one with the lanky striker. Sserunkuma then lost an open chance from a one on one but Zachary Onyango produced a good reflex to save the day for KCB in the 60th minute. He then missed from yet another one on one after Mburu picked him out but Onyango punched it back to play. KCB turned the tide against Gor with Murugi partnering well with Paul Mungaui who is headed to Simba SC in Tanzania but the eventual cross to Chaka was too long and was cleared by Musa Mohammed. Patrick Onyango Oboya who had been introduced for Timothy Otieno then headed inches wide from the near post in the dying minutes of the match before he was caught by the offside trap a minute later in yet another attack. Sserunkuma then missed the best chance of the second half after beating the KCB defence and drilling his shot inches wide with only the keeper to beat. The draw leaves Gor Mahia at the peak of the standings while KCB piles pressure on Nairobi City Stars as the relegation battle gets heated even further. 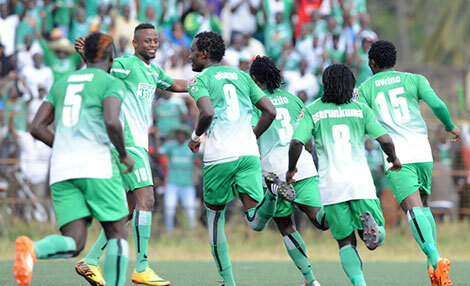 Gor Mahia start the post Bobby Williamson era when they take on KCB on Thursday. According to team captain Jerim Onyango, the playing unit has gotten over Williamson’s departure and is ready to move on. “As a player you always have to be prepared for such things and be ready to work with anyone at any-time. Williamson had a great influence on this team and we will miss him but we have to move on.” he told goal.com. Team manager Frank Ouna is the man charged with taking the club through this transition period as Gor Mahia search for a new coach to take them through the end of the season. But despite all these qualifications he has scant coaching experience. At Gor Mahia he has been in charge for only one game. It was the KPL top 8 match against Tusker which Kogalo lost. In the last match against SoNy Sugar, the club was bailed out by individual brilliance and in particular Geoffrey Kizito’s free-kick. On Thursday against KCB , it will likely come down to the playing unit again. Which is why the club’s fan base must turn out in large number to lift the team. KCB will be no pushovers. They are on the recovery path, are determined to escape relegation and won their last match according to their coach and former Kenya international Rishad Shedu. “The morale at camp is still very high and I am sure that in our remaining eight matches we shall rise to safety because the boys also want to remain in the league. And striker Mungai Kiongera who scored in their last match will likely want to leave on a high note as he departs for Tanzania. But the Gor Mahia playing unit is under no illusions about the difficulty of this match. They are also determined to stay focused in the remaining 10 matches. The fan base must show up and do their part to lift the players. 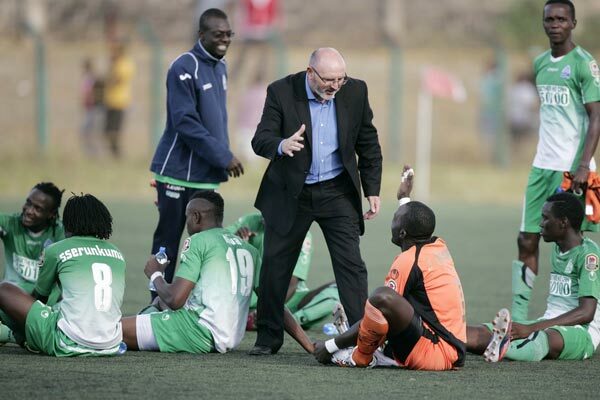 Apparently former Gor Mahia coach Zdravko Logarusic is among those who are seriously being considered to take over as Gor Mahia coach following the departure of Bobby Williamson. This according to a report in the Nation. “It is safe to reveal we will be appointing a foreign coach (to replace Williamson) considering the composition of our multi-national squad,” the club’s organising secretary David Kiilo said Tuesday to the Nation. The Nation Sport suggests that Logarusic, who won the FKF and Top 8 titles during his earlier stint at the club that ended in mid last year, is keen to make a comeback. However the management is wary of the tactician’s ‘extra baggage’ and would prefer to outline what the Croatian tactician can or cannot say or do on paper as part of the agreement. It is a reversal from 2 weeks ago when Secretary General Chris Omondi declared that the club was not interested in hiring Loga but would instead persuade Williamson to stay until season end. Should Logarusic return, it will be a reversal of last season when he left at Mid season for Williamson to take over. Logarusic was most recently at Simba of Dar es Salaam where he was fired for several reasons including the fact that Simba finished an unaccustomed fourth in the league and Logarusic was said to be extremely rude to players. There is no word yet on which other foreign coaches are being considered. 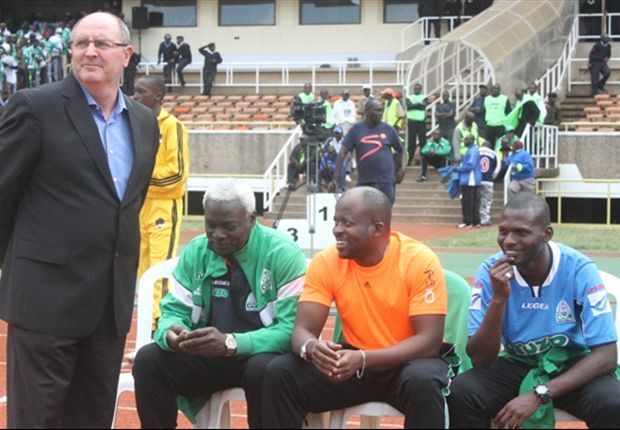 Gor Mahia have appointed Frank Ouna as interim coach. He will be in charge of the match against KCB. Chairman Ambrose Rachier has indicated that Ouna will be in charge while the club seeks a suitable replacement. “Ouna is the designated assistant coach at Gor Mahia and he therefore, takes over as we look at possible successor,” Rachier told goal.com on Tuesday. Ouna has very little coaching experience. He has been on the technical bench as team manager. He also stood in for Bobby Williamson in the Top 8 match against Tusker FC in Kinoru Stadium on Saturday 24 May. We as fans cannot expect miracles from Ouna. We can hope he identifies the appropriate line-up to tackle KCB based on KCB’s style of play and that he comes up with appropriate strategies and in-game adjustments. Much also depends on the playing unit. And this is why the 12th man aka the fans will be once again critical. 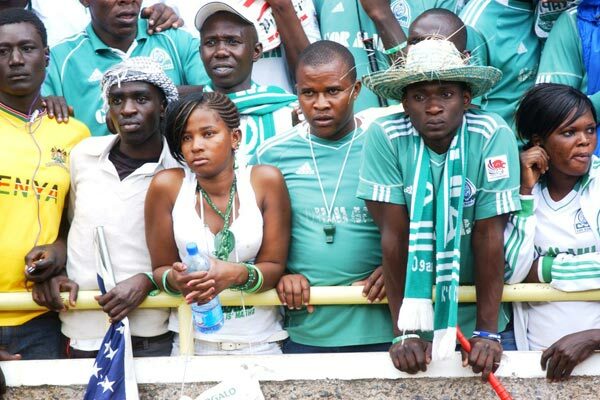 Much of how Gor Mahia performs in the last few games will depend largely on the 12th man. Since Bobby Williamson indicated that he would help the club identify the next coach, it is critical that each of these candidates is interviewed by Bobby Williamson. Coach Bobby Williamson bade an emotional farewell to the club on Sunday. It was a fitting goodbye as Gor Mahia won 1-0 thanks to a high quality strike from Ugandan international Geoffrey Kizito. And clearly Bobby has been very popular among the players. In a moving gesture, the players hoisted him to a lap of honour at the end of the match to thunderous reception from the fans. Bobby thanked the club management and the players. “Gor has wonderful players and I hope they go ahead to win the league because it has a good bunch of players. I thank the chairman for having faith in me and giving me this opportunity to manage the club. “I also express my sincere gratitude to players who made extra effort to go ahead and win the game today,” . He also said why he was unable to manage both the club and the national team. “I don’t think I could stay any longer at Gor because I don’t want to look impartial when selecting players for the national team, I would like to concentrate on national team and hopefully develop some talent and introduce academies but we have a lot of work to do,” he declared. “I will miss the fans that were always fantastic and crazy and I’m happy they behaved today which is a good thing because the club needs a sponsor. “It’s been tremendous though I experienced some highs and lows but I can’t complain because that’s the experience in football,” Williamson stated in homage to the fans who gave him the rousing ‘green carpet’ send-off. Bobby also said he was proud of his record in the Mashemeji derby despite having not won in four attempts. “My best match in Gor was two weeks ago against Leopards when we were 2-0 down and thought the game was over but it wasn’t because we should have won that match, Sserunkuma should have been given a penalty but the referee denied us because he wanted the match to end 2-2 to avoid trouble. “I feel disappointed I leave the club having not won any derby in four attempts but I’m happy I leave the club in good position to defend the title and everybody seems to love the way we play,” . Williamson’s statement about the club needing a sponsor is very apt. There are reports that the club did not wear the Joma kit because they did not settle the laundry bill when the Joma kits were taken for cleaning. Meanwhile there is no word yet on whom the new coach will be. Former player Sammy Omollo led Tusker to a league title. So he proved that with good players he can win. He later took over at SoNy before being replaced by current coach “Zico” Otieno. Among the names that have been mentioned is current team manager Frank Ouna. According to former Kenya international, Ezekiel Akwana, Ouna would make a good replacement. But Ouna has no coaching experience and this is not the time for Gor Mahia to be experimenting. Others have backed current assistant coach Bobby Ogolla to take over. But Bobby legend has still not recuperated completely. The pressure that comes with being coach might cause him to relapse. What Gor Mahia needs now is an experienced person with established credentials.